Fire Emblem Heroes is a 4 – unit turn based RPG. You will arrange a team of heroes to your liking and take turns moving all four before the enemy has their turn. Unit movement types and terrain determine where and how you can place your heroes, so be careful or you will get wiped out. Health Points (HP) – This is a units Health. Once it reaches 0 they die. Attack (Atk) – This is your damage output, the higher the number the more damage you deal. Speed (Spd) – Units will attack twice if its speed is at least 5 more than the speed of the enemy it is attacking. You will typically see a X multiplier next to your attack value if you’re going to double strike and so on. Defense (Def) – This your Defense stat, the higher the number the less damage you take from physical attacks. units using swords, axes, lances and things like that are considered Physical damage. Resistance (Res) – Res is Resistance, much like Defense, the higher the number the less damage you take from magical attacks. Spells, staves, breath effects, etc. Movement – Movement is split into Infantry/Armored/Flying and Cavalry. Infantry can only move 2 spaces and will only be able to move one space through forests. Armored can only move 1 space and cannot move through forests. Flying can move 2 spaces regardless of terrain. Cavalry can move 3 spaces but cannot move through forests. 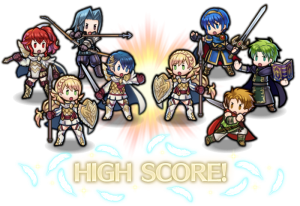 As you advance your heroes in Fire Emblem you will gain both Experience (XP) and Skill Points (SP). Experience is gained through your hero performing an action against or killing an enemy, or healing or buffing a teammate. Characters that don’t get used often will fall behind in level, so try and alternate who is hitting the enemy to get XP onto the other heroes. 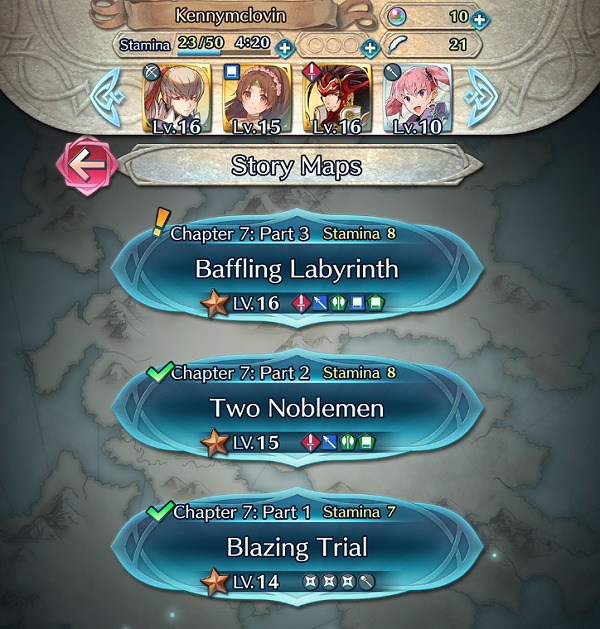 As soon as the training arena unlocks run through the the beginner question to get some easy experience for your team before continuing with the main story line. 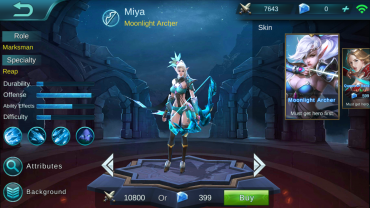 Alternatively if you have a large stash of Crystals or Shards, a disposable currency you feed to your heroes, you can use this to quickly skip the low levels for a new hero. As the level of the character raises, so does the requirement. From level 1 to 19 you will be using Crystals for your character. There are Crystals for each color so keep that in mind when you’re completing quest and you’re farming for a specific character. After you hit level 19, you will start using Shards for the remaining levels. Skill points are used to learn new Skills, each unit can have up to 5 different skills equipped at one time. Watch out as some skills have a prerequisites and could be costly. Currently there is no way to reset your spent skill points, so you will have to choose wisely. I suggest waiting to buy any skills until you have hit the level 10 mark for most of your characters, by then you will have a general idea of what works with your composition. Watch out for units like Hawkeye who have the Rising Light skill, it gives a massive AOE just for moving the character into range of an enemy. 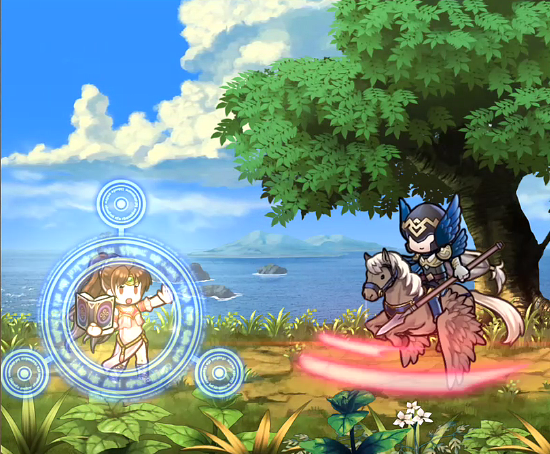 The in-game currency for this version of Fire Emblem is Orbs. Orbs can be earned from completing new missions in a chapter for the first time, and through quest. However that isn’t the only way you can get them. Starting out you should get about 15 orbs but before you use those just yet you have a choice to make. You can either take the first set of orbs you got and use them to summon up a few characters and then if they aren’t 5 star rated characters, reset your game data and redo the tutorial to try and pull a better set of heroes. OR you can link your device to your Nintendo account. This will save your data if the device gets wiped as long as you have the Nintendo account login. To use that, make sure you go to the Nintendo site and link your Nintendo account with your game. Then you will be able to redeem 10 more orbs from their webpage. This will allow you to utilize the summoning, since it decreases the orb amount per use. If you don’t like the pulls that you got, even when you linked your game to your Nintendo account currently you can go to account settings and “delete all data” for the game, and restart and get a new set of heroes. The only drawback to this is you will not get the 10 bonus orbs. I don’t recommend buying Orbs until you’ve completed all of the available quest, and you still haven’t gotten a summon that you really want. The $ to Orb ratio isn’t favorable, and the only way I believe you can maximize it is to only buy enough to get 5 summons in a row. There is a PVP system in Fire Emblem. This allows you to go up against another players team. This is split into 3 difficulties at the moment. Each difficulty will provide you with a weaker/stronger opponent and also give you a higher score. If you chain additional wins then you can cash in on your 7th win for a large bonus to your score. It might seem worth going for the harder difficulties to improve your score, but it may be more worth getting less per match, by obtaining your bonus on your 7th win. You only get 3 tries per day unless you spend a “Dueling Crest” or an Orb. Every day there will be a reset which will refresh a few items for you. Firstly it will update the Special Map . You will also have your “Swords” refreshed which can only be refreshed from the daily reset or by spending a token or orb. You will also notice that the Training Tower will update from it’s current color. The training tower allows you to get Badges. These badges allow you to upgrade a 3 star to 4 star and a 4 star to 5 star. 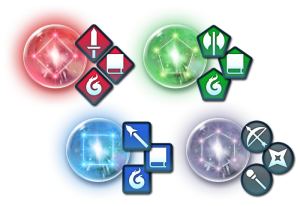 Each day it will rotate in available colors and you will earn a “[Colored] Badge” for the lower stages and a “Great [Colored] Badge” from the Sixth Stratum and higher levels. You can also acquire Shards and Crystals. There is a ration for the Special Map section. From this area you can get 1 or 2 star heroes currently. They will typically have special conditions for victory such as “all allies must survive. Below you can find a list of the current heroes in rotation. Use your healer even if you don’t need it, this is a great way to build up XP onto that character type when you have a hard hitting front line. 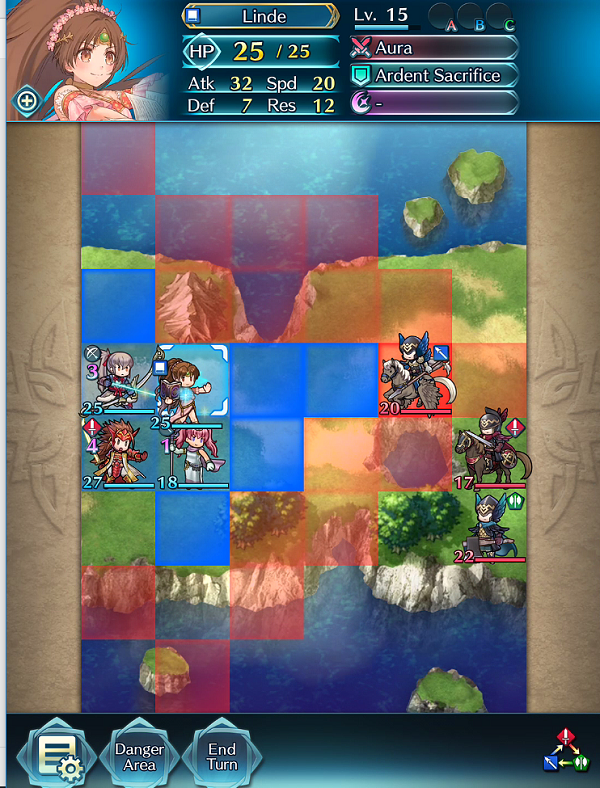 Sacrifice unused heroes by merging them and then Sending Home. 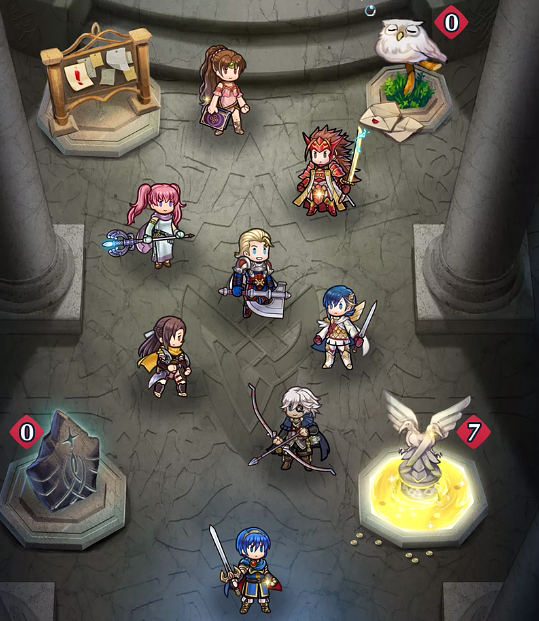 You gain more Hero Feathers from a merged unit than a single unit. So this is a quick way to build up your Hero Feathers. Orbs can also be used to upgrade your “Castle” upgrading your castle increases the amount of experience you gain. a permanent % XP increase. It has a steadily increasing cost, upgrade this after you’ve summoned units. Do not waste orbs on Expanding Barracks!!! You have 200 inventory spaces, its really hard to fill that up. The cost to expand barracks is way too high to be worth it. The same unit type can have random maxed stats. It’s a minor variation between how the points are spread out but it may matter for anyone trying to min/max. Make sure you have at least 1 healer hero in your group!! Tap on Heroes with a Heart symbol to loot a item from them. Toggle Map difficulty by tapping on Normal. If a hero unit dies they lose the xp / levels they earned in the current battle.